Could you use the assistance of a professional organizer but don’t have one nearby? No matter where you live, I can help via my virtual organizing services. Whether near or far, my virtual consulting and coaching services can help you set and achieve your organizing goals. I can inspire you with a personalized action plan and help you stay motivated along the way. As your virtual organizer, I can help you to get started, clear your clutter and set up organizational systems and routines that will work. I'll do a needs assessment and then tailor a plan of action based on your lifestyle, goals and home environment (by taking your available space into consideration). 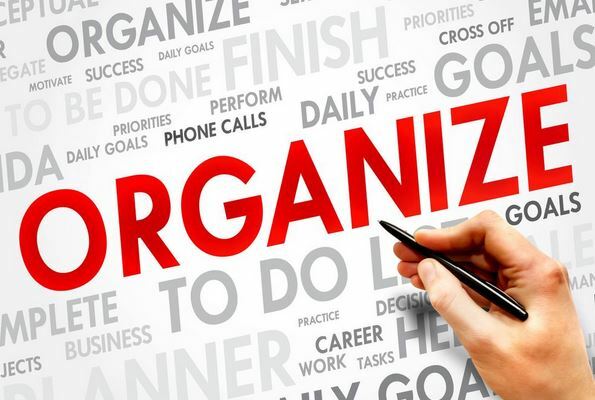 Virtual organizing is a great budget-friendly option for self-motivated people who want to get organized based on their schedule and within a set time frame. Need a little motivation? 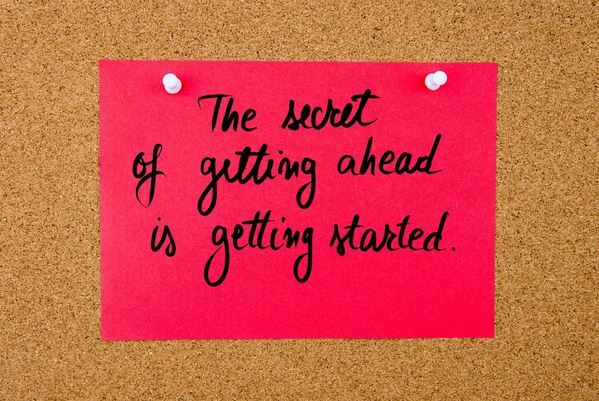 don't know how to get started? Virtual organizing services are basically the same as in-person professional organizing services, the only real difference is instead of working side-by-side with you in your home, I work with you via Skype, FaceTime, telephone and/or email. Whether I'm acting as your in-person organizing consultant or your virtual organizing coach, I abide by the POC (Professional Organizers in Canada) Code of Ethics. All conversations and communications are held in the strictest of confidence. After we have our first 'Get to Know You and Your Needs' session, we can chat on a weekly or bi-weekly basis. Our chats will revolve around things like questions and answers, personalized feedback, tracking your progress, discussing upcoming tasks and benchmarks. In between our virtual organizing chats, you’ll work on your organizing assignments (either on your own or with the help of a friend or family member). If questions arise in between coaching sessions, you’re welcome to email me for advice (and I'll do my best to get back to you in a timely manner). Click here to Book Your Virtual Organizing Service Today! have you come up against an organizing roadblock? I can help you overcome it and get back on track. Who is Virtual Organizing suitable for? *Self-motivated individuals who are able to physically organize but need an action plan to get started. *Anyone who is on a limited budget but could benefit from the expertise of a professional organizer. *Busy people who want to hire professional organizer but don’t have the time to regularly schedule hands-on organizing sessions. *Individuals who live in remote areas with no professional organizers close by. * Someone who is generally pretty organized but is has come upon some organizational roadblocks and needs the expertise of a professional. *Anyone who is looking for an organizing coach to encourage and hold them accountable for making good on their organizing goals. * A person who has recently moved and is looking for storage solutions, how best to set up zones and create new organizational systems and routines. *Natural procrastinators who need a professional organizer to help them get started, set up an action plan and motivate them to stay on task throughout their decluttering and organizational journey. *Anyone who is looking to simplify their life and create a better work/family life balance with the help of a coach. let's work together to conquer your clutter & set up organizational systems that work. Is There Anyone Virtual Organizing Is Not Suitable For? The only real reason virtual organizing wouldn’t be for you is if you aren’t physically able to carry out your decluttering and organizing assignments yourself or with the help of a friend or family member. To benefit having me as your organizing coach you need to be open and committed to change; have some enthusiasm for decluttering and getting organized; and be willing to take direction and tackle some ‘homework’ assignments. You also need to plan to be uninterrupted during our phone or FaceTime/Skype video call sessions. If you opt for phone or email communication rather than FaceTime/Skype, you must have the ability to send me digital photos. If you're able to sort through your belongings, carry donations out to your car, measure your space, shop for storage containers, rearrange your furniture or do the aforementioned with local assistance, then my virtual organizing services would likely benefit you. I'll be your consultant, accountability partner, coach, and cheerleader throughout the entire process. Send me an email (with up to 4 photos of your room, closet or trouble spot) outlining your #1 organizing or time management challenge and I will send you personalized response with helpful tips, advice, product ideas, encouragement, and/or resources specific to your situation. This package includes a needs analysis (a 30 minute session conducted via a FaceTime/Skype video call or a phone consultation, with applicable digital images sent ahead), a written action plan following the initial session (within 48 hours) plus a maximum of three subsequent 30-minute weekly coaching sessions within the period of one month. You’ll also have unlimited email support as questions arise during the one month service period. This package is ideal for anyone with multiple spaces within your home that needs organization. The timeline for this package is six to 12 weeks. It includes an initial assessment (a 1 hour session conducted via a FaceTime/Skype video call or a phone consultation with digital images sent ahead), a written action plan following the initial session (within 48 hours) plus a maximum of five 30-minute weekly or bi-weekly coaching sessions as you work through your different spaces and rooms. You’ll also have unlimited email support as questions arise during the six to 12 week service period.